In 1987, some of his emblematic works were included in the collective exhibition dedicated to the ‘Les Courtiers du désir’ and in 2000 the artist attended the exhibition entitled ‘Au-delà du spectacle’. However his return in the artistic season 2014/2015, after the gardens of Versailles show www.jeffkoonsversailles.com (between 2008 and 2009) , takes the form of a reverence for a special guest, constantly courted in the staging edited by Scott Rothkopf and Bernard Blistene. 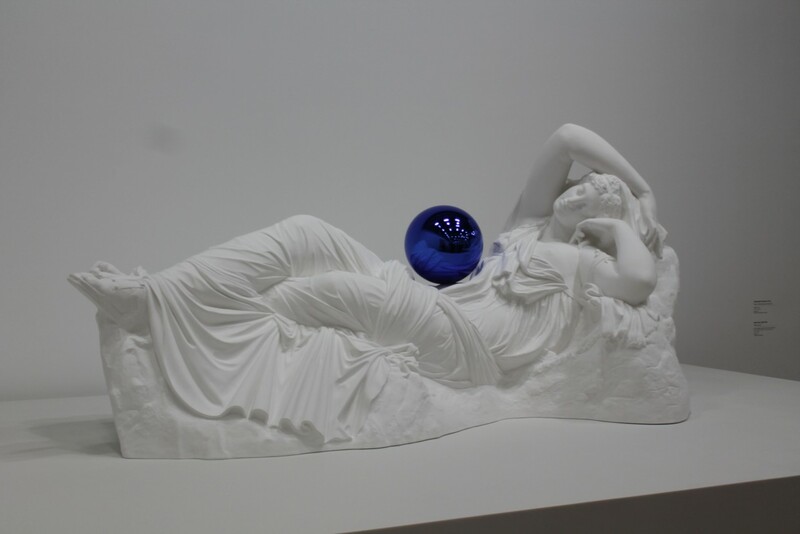 The first major European retrospective of the American artist proposes an ambitious synthesis that explores thirty-five years of Koons’ activity in an attempt to ‘reconcile modern art and popular culture in a celebration of opposites’. The big Parisian exhibition celebrates and provokes at the same time. 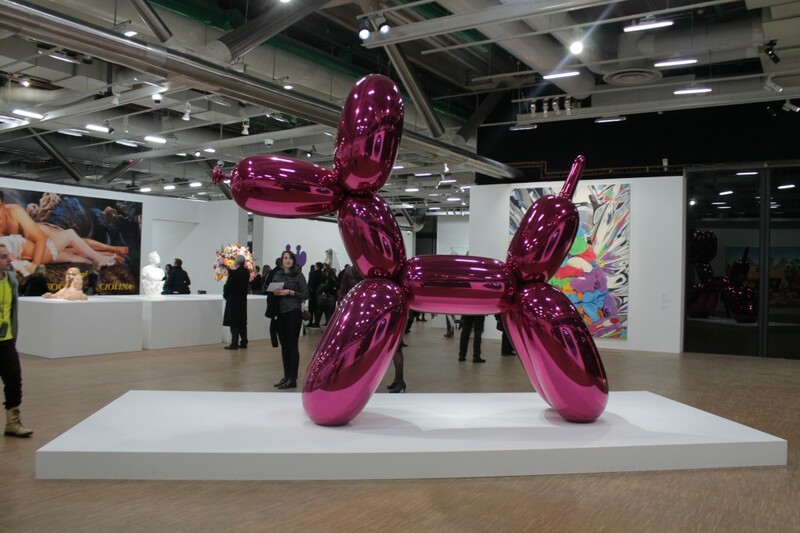 Jeff Koons rises artificially, as his Inflatables. The path of the exhibition which focuses on the concept of ‘pure surface’ is unable to dispel the cloud of doubts surrounding the American artist. Words such as idolatry, mythology and cult of personality frequently occur when naming Koons. 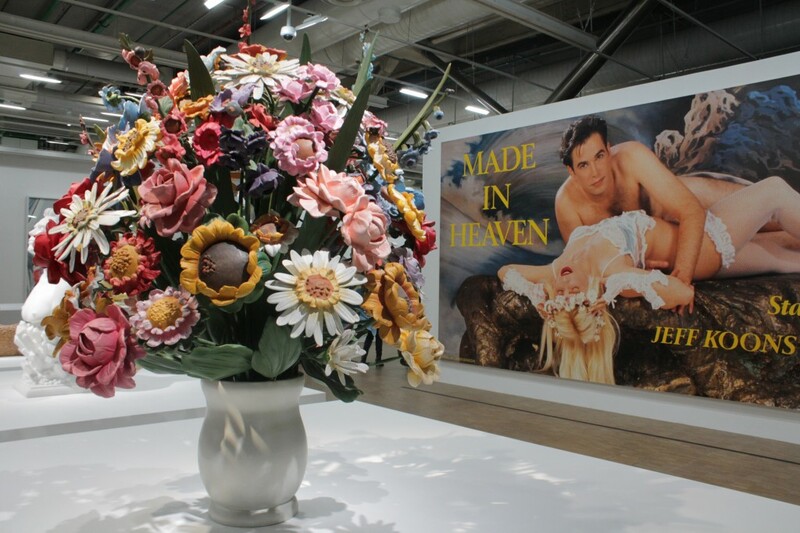 Considered like a contemporary Warhol, Koons is able to mobilize, with his commercial talent, crowds of fans and detractors and always succeeding in being talked about. The French art critic does not seem convinced by this well thought theatre. 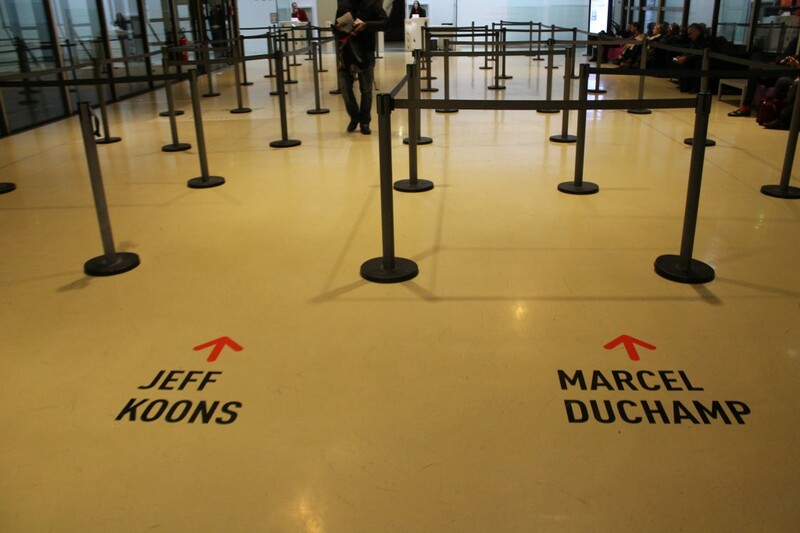 Pierre Haski (co-founder of the online magazine Rue89) is the author of a highly critical post on the website linked to the Nouvel Observateur’s platform rue89.nouvelobs.com shooting at sight on the commercial essence of the work of Koons, who remains essentially a real trader of himself. Emmanuelle Jardonnet from Le Monde www.lemonde.fr calls him ‘serial createur’, underlining the obvious reference to the repetitive, obsessive and extremely self-celebrating essence of his production. In a world feeded inevitably of degenerated pop culture, constantly related to the American dream and its drifts, Koons is still an icon destined to die in an explosion of ephemeral glory, as the shiny balloons inspiring some of his most famous works. Despite being pompous, glossy and forgetful, his art singles out some unavoidable issues that overtake the purely aesthetic taste, to reach the entire world. Even if, the references to the collective dimension and complex composition of his work, far from being a reflection on collective creation, are the results of megalomania unrelated to any honest impetus. Oscillating between ‘Luxury and Degradation’ (from ‘LUXURY AND DEGRADATION’ the title of the series of 1986 inspired by the aesthetic rules of liquor advertising, in which the increase in the degree of abstraction is directly proportional to the advancement of the social class of customers) Koons builds a new altar to the same elitism that wishes to criticize. He rises to the kitsch and seductive paradise built around the explicit plasticity of his former-wife, Ilona Staller, known as Cicciolina. Devoid of complex thought Koons’ work does not keep any promises and in Duchamp’s country, (glorified by the exhibition that takes place simultaneously and on the same floor of the art centre in Paris) it is easy to regret the fontaine and its true subversive power.